Galaxy NGC 7319. Arrow points to foreground high redshift quasar. Modern astronomy surely suffers from a kind of blindness. It is either a blindness of mind or one of practice. The continuing presence of Big Bang cosmology among those who are charged with increasing the store of scientific knowledge proves that there certainly is blindness in some form. Not only astronomers, but science reporters have lost the ability to differentiate fact from theory, thus helping to perpetuate the Big Bang. Media reports constantly assert that new discoveries confirm it when such reports are not based on observational evidence. On October 3, 2003, the Big Bang theory was falsified by direct observation. 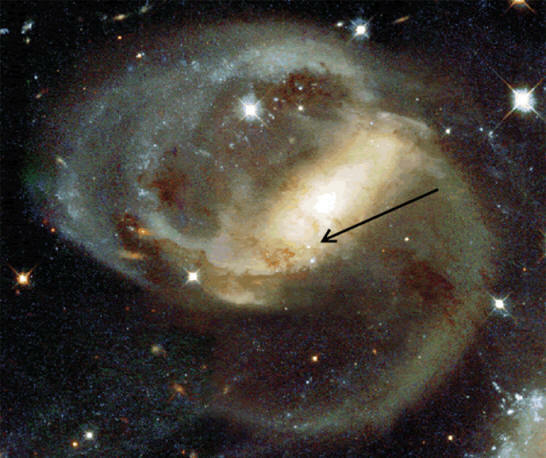 The galaxy NGC 7319 was measured to have a redshift of z = 0.0225. It is not uncommon for "nearby" galaxies to have redshifts below z = 1. However, a quasar was located in front of NGC 7319's opaque gas clouds with an observed redshift of z = 2.114. The two principle tenets of the Big Bang theory are that redshift is proportional to distance and that it is an indicator of velocity. The larger an object's redshift the farther away it is and the faster it is moving away from the observer. Those two ideas provide the backdrop for the commonly held belief that the Universe is expanding. According to the Big Bang, the NGC 7319 quasar "must be billions of light years farther away than the galaxy" because it has a higher redshift. Yet, since the galaxy is opaque, the quasar has to be in front of the galactic dust clouds and not shining through them. “No one has found a quasar with such a high redshift, with a redshift of 2.11, so close to the center of an active galaxy,” said the late astronomer Geoffrey Burbidge at the time. The discovery team included his spouse, E. Margaret Burbidge, another noted astronomer. The find was significant because it is the most extreme example of a quasar in front of a galaxy with a lower redshift. Conventional cosmology relies on an electrically neutral Universe ruled by gravity. Without this dogmatic consensus, the Big Bang would never have become so predominant. Scientists, needing to renew their grants every year, “confirm” the theory when, according to reports, it has been discredited. Magazine publishers desire to maintain good relationships with established institutions, so they accept the latest news releases with little background investigation or critical analysis. On June 30, 2001, NASA launched the Wilkinson Microwave Anisotropy Probe (WMAP) on a mission to reexamine some unusual telemetry returned by the Cosmic Background Explorer (COBE) satellite in 1992. Temperature fluctuations data seemed to suggest that there were regions of lower mass density in the Universe. Since the Big Bang theory does not account for such regions—matter and energy should be evenly distributed—the WMAP survey was sent to verify COBE's results. 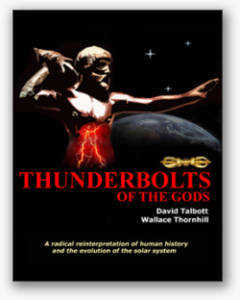 Electric Universe advocate Wal Thornhill pointed out that neither COBE or WMAP detected "cosmic" radiation. Rather, they both found the natural microwave radiation from "electric current filaments in interstellar plasma local to the Sun. Instead of the Cosmic Microwave Background (CMB), it is the Interstellar Microwave Background. That makes sense of the fact that the CMB is too smooth to account for the lumpiness of galaxies and galactic clusters in the Universe." 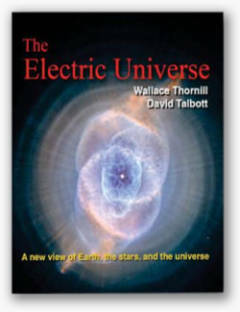 The Electric Universe theory has an entirely different way of addressing these matters. It does not rely on unseen and undetectable forces whose existence can only be inferred. 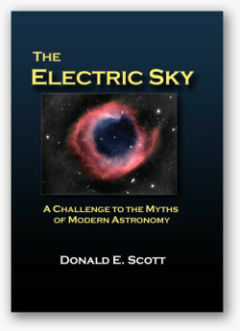 Electric currents flowing through ionized gas and dust provide the energy for the stars, presenting themselves in straightforward and understandable ways without resorting to esoteric mathematical models. Redshifts and microwaves have proven themselves inadequate to explain how the Universe functions.